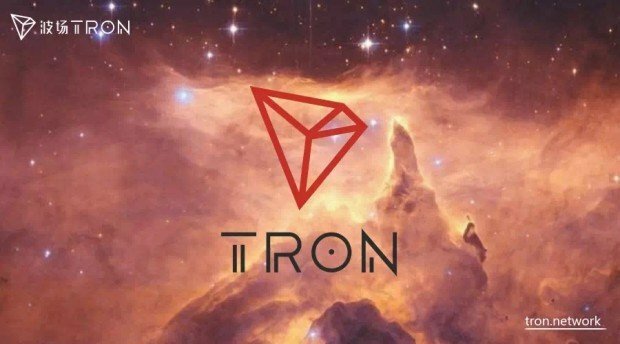 The Crypto-market has stabilized to the relief of Tron (TRX) fans and HODLers. What seemed like an imminent Moon Landing ahead of the MainNet Launch, has been sidetracked by a declining Bitcoin (BTC) that took the entire crypto-market down with it. BTC dropped from almost $10,000 at the beginning of May, to yesterday’s low of $7,132. The value of TRX has also followed a similar trend when it experienced a $0.10 value on 30th April. It would then drop to recent lows of $0.058 just yesterday. Both BTC and TRX have since recovered and are trading at $7,513 and $0.0644 respectively. 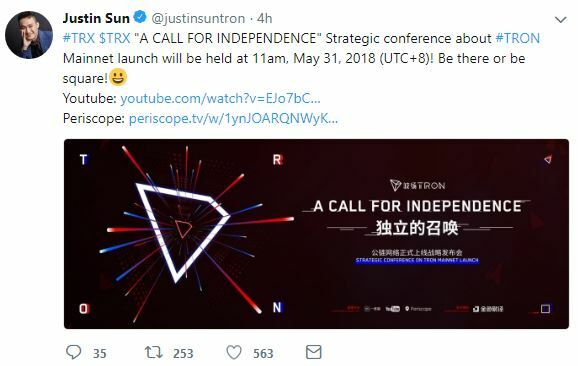 Even with the current market turmoil, the TRON (TRX) MainNet launch is still on schedule with Justin Sun leading the charge in terms of communication and excitement as we inch closer to event. He has even dubbed the MainNet launch as a day for Independence. Justin and the Tron Foundation are committed to their vision of decentralizing the web. This is why they are declaring the 31st of May, as a sort of independence day. The current countdown reads 13 Hours, 1 Minutes and 12 seconds at the moment of writing this. The livestream broadcast that leads up to the MainNet launch will start at 11am (UTC + 8) tomorrow. Doing the math, this time is 3 am, UTC. Therefore, you can add or subtract your time zone accordingly from the reference time of 3 am. In conclusion, the MainNet is all set for launch at the aforementioned time and through the provided links. For those who will not have the opportunity of watching the launch live due to time zone constraints, Ethereum World News will be there with the updates and summary of events. Also to note, is that the CoinTiger exchange has just announced that it will support the token migration on the 21st of June. The list of exchanges has now increased with more exchanges expected to announced their support for the migration as we inch towards the set date on the 21st.